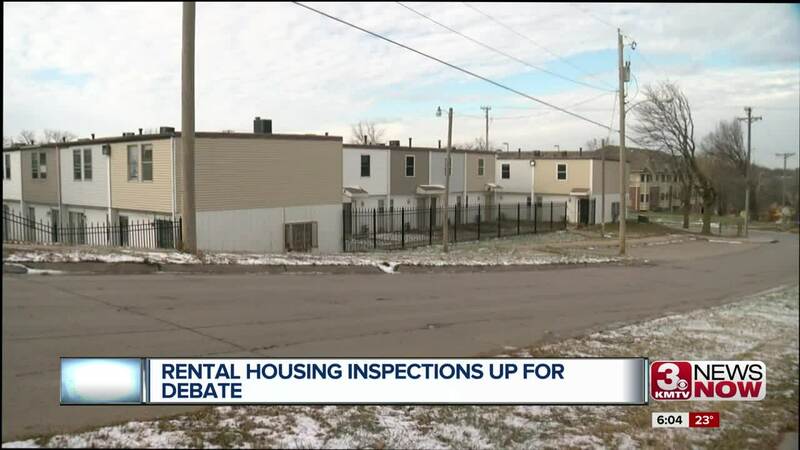 Omaha Mayor Jean Stothert announced the city will be be opening up an online survey to measure public opinion on rental housing inspections and potential changes in city ordinances. -Landlords should be required to register with the city. -There is enough oversight and regulation, nothing more needs to be done. -I support more taxpayer dollars to be spent to fund a significant increase in the number of inspectors to inspect Omaha rental properties. -I think tenants need more education about their rights and responsibilities. "80-percent or more landlords do a fantastic job, we want to focus on those who don't," said Mayor Stothert. "The first step is hearing the public opinion." "Who cares about getting people's opinions," said Stothert. "I do but it's not hurry to get it done, let's get it done right." "We already know what the problem is," said Councilman Ben Gray. "We don't need to do another survey. What we need to do is act." Councilman Gray is the representative of the area where Yale Park is located. He says apartments across the city are filled with mold and vermin and aren't up to code. "The city has ordinances. In the case of Yale Park they didn't follow ordinances," said John Chataline, Metropolitan Omaha Property Owners Association president. Chataline says current laws require a city inspection and give landlords 30-90 days to fix any issues after receiving a violation. "We have a procedure, it's a good procedure and it's not being followed," Chataline said. Chataline says the metropolitan omaha property owners association would be apposed to a forced residential inspection program. "The cost of operating the business will go up which will cause the cost of rentals will go up," Chataline said. Council man Gray says there are still apartments that could use inspections. "This dance has gone on long enough, it's time to take some action now," Gray said. State Senator Justin Wayne just introduced a bill in Lincoln. If passed the law would require the creation of a landlord registry and mandatory inspections of rental units once every three years.